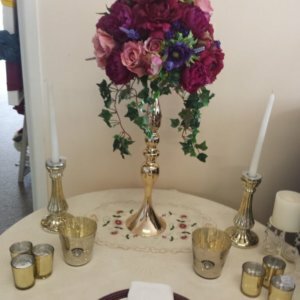 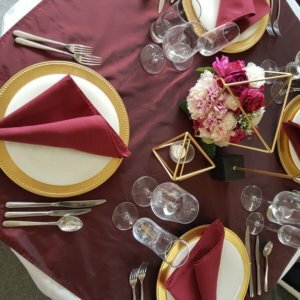 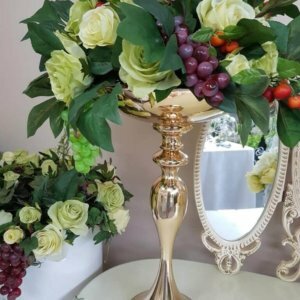 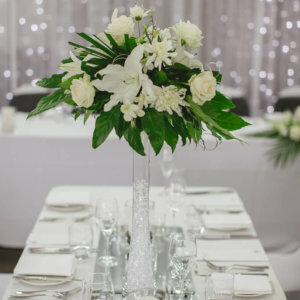 Hire Candelabra, candlesticks and chandelier to create a fabulous atmosphere – use them for Centrepieces on your wedding tables. 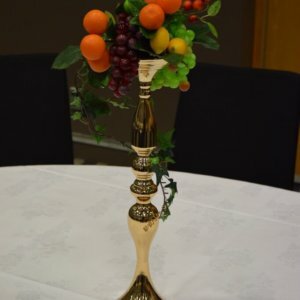 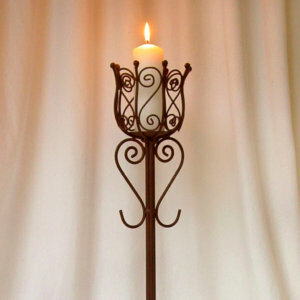 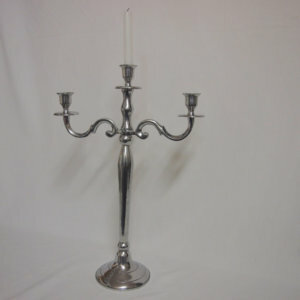 Choose between gold and silver candelabra of 5 arms for your candles, 3 arms or 1, for romantic, elegant table settings. 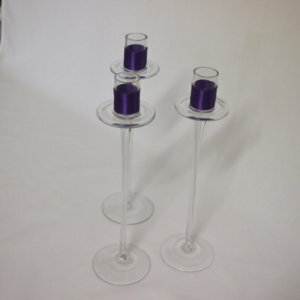 Add windlights so the candle flame is controlled and wax drip reduced and contained. 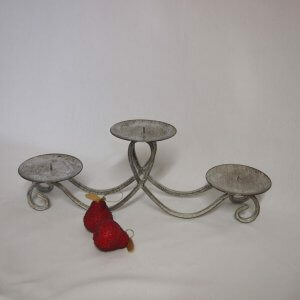 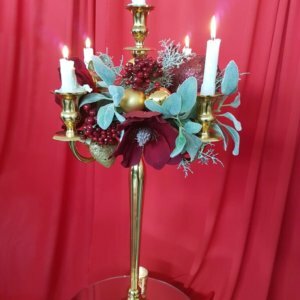 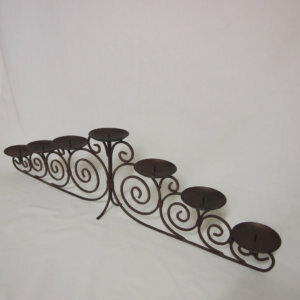 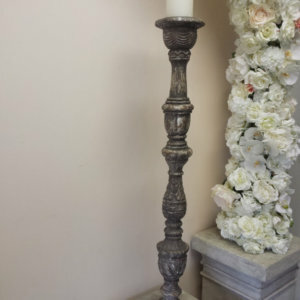 If rustic elegance is your theme and you love the idea of a metal candleabra to highlight candle glow then our dark metal candleabra and candlesticks are worth your consideration. 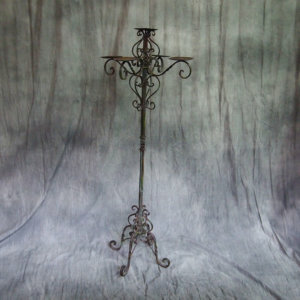 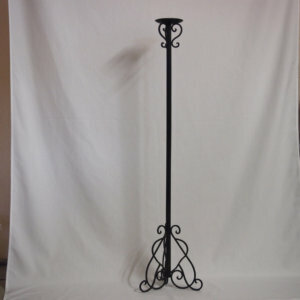 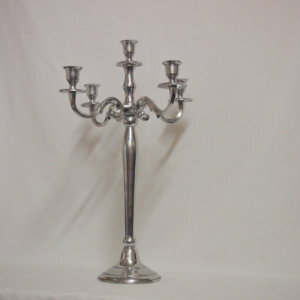 Not only do we have table candelabra but we have 4 stunning floorstanding 5 plate. 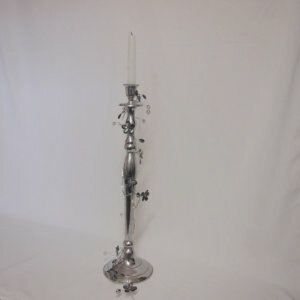 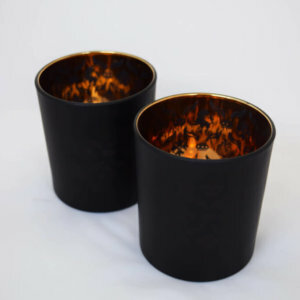 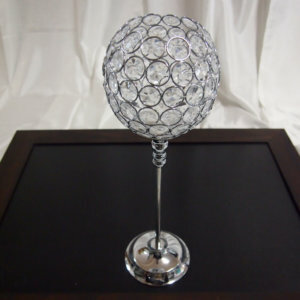 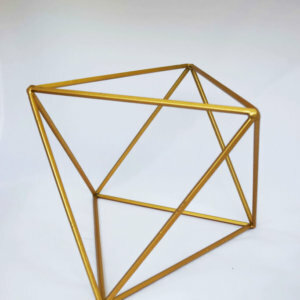 Silver ceramic, gold candlesticks, cream candlesticks, crystal ball candlesticks are a few of out options is this range. 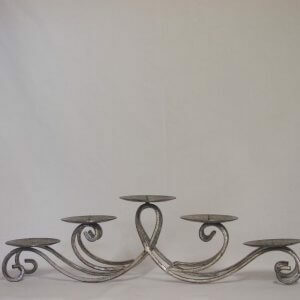 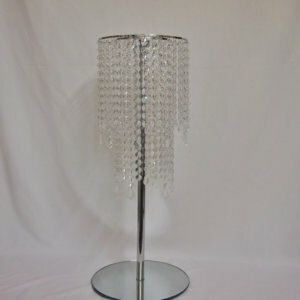 We have two styles of chandelier tops that can be used on various bases. 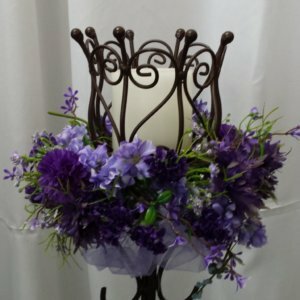 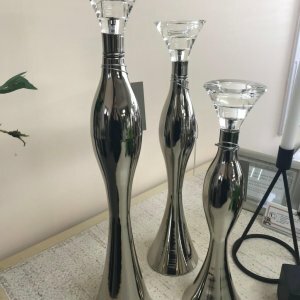 Tall vases, stainless poles on mirror bases. 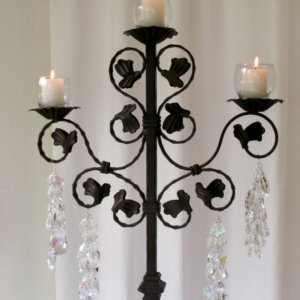 Place floral arrangements on the top or lights. 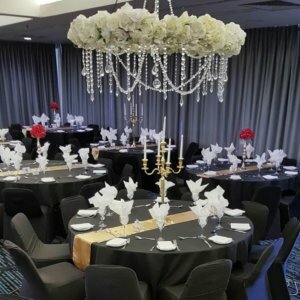 View the metro chandelier for a modern theme and the ritz for a 1920s vintage theme.